How Do I Check My Antifreeze To See If It Low??? How Much Coolant Do I Add? How Much Coolant Do You Put Back In After Flush? 2007 Saturn Ion Putting To Much Antifreeze In My Car. 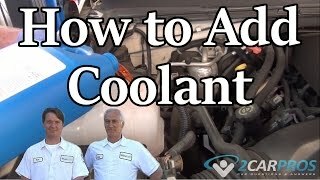 How Do I Check The Coolant Flow To The Radiator?